Today, Saturday January 18th, is A.A. Milne's birthday! To celebrate, we made a Winnie the Pooh themed lunch. In this lunch: Cheez-its, Tigger and Winnie the Pooh turkey sandwiches on Italian bread, grape tomato balloon, blueberries, blackberries, and cucumbers. 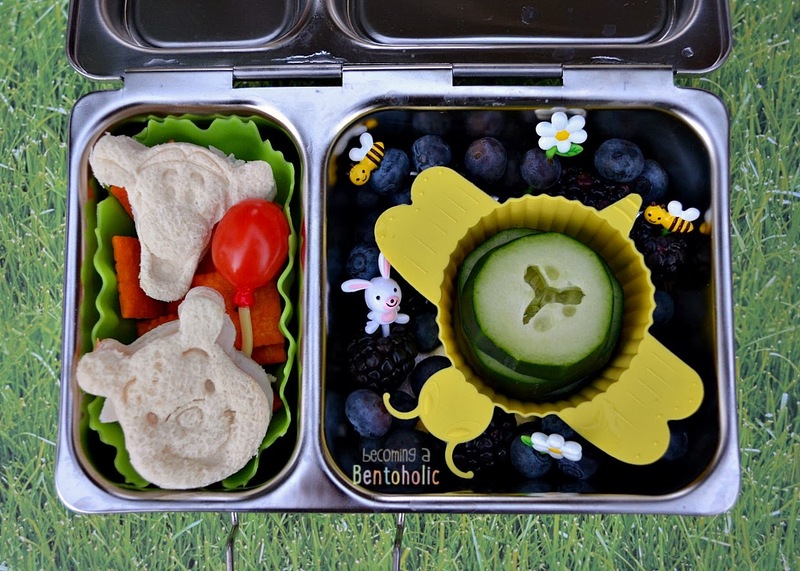 Check out more fun Winne the Pooh bento lunches at Mamabelly's link up. Thank you for linking up to my Winnie the Pooh Link Party! Love your lunch! Such great colors and I love those sandwich cutters!